Different states have different rules and regulations. Your Purchase of Business Agreement will be customized for Virginia. The Seller carries on the business of _________________________ at __________________________________________________ (the "Business"). The Seller owns the assets of the Business and desires to sell certain assets (the "Assets"), to the Purchaser, subject to any exclusions set out in this Agreement and the Purchaser desires to buy the Assets. "Closing" means the completion of the purchase and sale of the Assets as described in this Agreement by the payment of agreed consideration, and the transfer of title to the Assets. "Parties" means both the Seller and the Purchaser and "Party" means any one of them. Subject to the terms and conditions of this Agreement, and in reliance on the representations, warranties, and conditions set out in this Agreement, the Seller agrees to sell the Assets to the Purchaser and the Purchaser agrees to purchase the Assets from the Seller. The Parties agree to co-operate in the filing of elections under the Internal Revenue Code and under any other applicable taxation legislation, in order to give the required or desired effect to the allocation of the Purchase Price. The Closing of the purchase and sale of the Assets will take place on ________________________ 20______ (the "Closing Date") at the offices of the Seller or at such other time and place as the Parties mutually agree. At Closing and upon the Purchaser paying the Purchase Price in full to the Seller, the Seller will deliver the Assets to the Purchaser. The Seller will deliver to the Purchaser possession of the Assets, in the same condition as on the Execution Date, and free and clear of any liens, charges, rights of third parties, or any other encumbrances, except those attached as a result of the Purchaser's actions. At Closing and upon the Purchaser paying the Purchase Price in full to the Seller, the Seller will provide the Purchaser with duly executed forms and documents evidencing transfer of the Assets, where required including, but not limited to, bills of sale, assignments, assurances, and consents. The Seller will also co-operate with the Purchaser as needed in order to effect the required registration, recording, and filing with public authorities of the transfer of ownership of the Assets to the Purchaser. The Purchase Price for the Assets will be paid by the Purchaser in one lump sum payment to the Seller in the form of a certified check, a Teller's Check or an electronic money or funds transfer. In the case of an electronic money or funds transfer, the Seller will give notice to the Purchaser of the bank account particulars at least 5 business days prior to the Closing Date. The Purchaser is responsible for paying all applicable taxes, including federal sales tax,state sales tax, duties, and any other taxes or charges payable pursuant to the transfer of the Assets from the Seller to the Purchaser. The Seller has full legal authority to enter into and exercise its obligations under this Agreement. The Seller is the absolute beneficial owner of the Assets, with good and marketable title, free and clear of any liens, charges, encumbrances or rights of others. The Seller is exclusively entitled to possess and dispose of the Assets. To the best knowledge of the the Seller there is no pending or anticipated claim against the Assets or against the Seller's ownership or title in the Assets or against the Seller's right to dispose of the Assets. No third party contract is outstanding that could result in a claim against or affecting the Assets in whole or in part either now or in the future. The Seller does not have any outstanding contracts, agreements, or commitments of any kind, written or oral, with any third party regarding the Business or the Assets, except for any material contracts described in, and/or attached to this Agreement. The Seller represents and warrants that no material default or breach exists with regard to any presently outstanding material contract. Execution of this Agreement will not hinder or unfairly disadvantage any pre-existing creditor. Except as otherwise provided in this Agreement, there has been no act or omission by the Seller that would give rise to any valid claim relating to a brokerage commission, finder's fee or other similar payment. The Seller is a resident of the United States for the purposes of the Internal Revenue Code. The Seller will have complied with the requirements of the Uniform Commercial Code relating to bulk sales on or before the Closing Date. The Seller has withheld all amounts relating to the Business required to be withheld under income tax legislation and has paid all amounts owing to the proper authorities. The Seller is not bound by any written or oral pension plan or collective bargaining agreement or obligated to make any contributions under any retirement income plan, deferred profit sharing plan or similar plan. The Seller will not dismiss any current employees of the Business or hire any new employees, or substantially change the role or title of any existing employees, provide unscheduled or irregular increases in salary or benefits to employees, or institute any significant changes to the terms of any employee's employment, after signing this Agreement, unless the Purchaser provides written consent. There are no claims threatened or pending against the Seller by any current or past employee relating to any matter arising from or relating to the employment of the employee. The Assets, while owned by the Seller, have been maintained at all times in accordance with standard industry practice. The Seller further warrants that all tangible assets are in good working order. The Seller is operating in accordance with all applicable laws, rules, and regulations of the jurisdictions in which it is carried on. In compliance with such laws, the Seller has duly licensed, registered, or qualified the Seller with the appropriate authorities and agencies. The Seller maintains insurance policies on the Assets and such policies are in full force and effect and of an adequate value as would be reasonable in its industry. The Seller has neither defaulted under these insurance policies, whether as a result of failure to pay premiums or due to any other cause, nor has the Seller failed to give notice or make a claim under these insurance policies in a timely manner. The Seller owns or is licensed to use all necessary software and it can continue to use any and all computerized records, files and programs after the Closing Date in the same manner as before the Closing Date. The Seller has filed all tax reports and returns required in the operation of the Business and has paid all taxes owed to all taxing authorities, including foreign taxing authorities, except amounts that are being properly contested by the Seller, the details of this contest having been provided to the Purchaser. This Agreement has been duly executed and delivered by the Seller and constitutes a legal and binding obligation of the Seller, enforceable in accordance with its terms, except as enforcement may be limited by bankruptcy and insolvency, by other laws affecting the rights of creditors generally, and by equitable remedies granted by a court of competent jurisdiction. The representations and warranties given in this Agreement are the only representations and warranties. No other representation or warranty, either expressed or implied, has been given by the Seller to the Purchaser, including, without limitation, any representations or warranties regarding the merchantability of the Assets or their fitness for a particular purpose. The Seller warrants to the Purchaser that each of the representations and warranties made by it is accurate and not misleading at the Closing Date. The Seller acknowledges that the Purchaser is entering into this Agreement in reliance on each representation and warranty. The Seller's representations and warranties will survive the Closing Date of this Agreement. Where the Purchaser has a claim against the Seller relating to one or more representations or warranties made by the Seller, the Seller will have no liability to the Purchaser unless the Purchaser provides notice in writing to the Seller containing full details of the claim on or before the third anniversary of the Closing Date. Where the Purchaser has a claim against the Seller relating to one or more representations or warranties made by the Seller, and the Purchaser is entitled to recover damages from a third party then the amount of the claim against the Seller will be reduced by the recovered or recoverable amount less all reasonable costs incurred by the Purchaser in recovering the amount from the third party. The Purchaser has full legal authority to enter into and exercise its obligations under this Agreement. The Purchaser has funds available to pay the full Purchase Price and any expenses accumulated by the Purchaser in connection with this Agreement and the Purchaser has not incurred any obligation, commitment, restriction, or liability of any kind, absolute or contingent, present or future, which would adversely affect its ability to perform its obligations under this Agreement. The Purchaser has not committed any act or omission that would give rise to any valid claim relating to a brokerage commission, finder's fee, or other similar payment. The Purchaser is a resident of the United States for the purposes of the Internal Revenue Code. This Agreement has been duly executed by the Purchaser and constitutes a legal and binding obligation of the Purchaser, enforceable in accordance with its terms, except as enforcement may be limited by bankruptcy and insolvency, by other laws affecting the rights of creditors generally, and by equitable remedies granted by a court of competent jurisdiction. The Purchaser has no knowledge that any representation or warranty given by the Seller in this Agreement is inaccurate or false. The representations and warranties given in this Agreement are the only representations and warranties. The Purchaser has given no other representation or warranty, either expressed or implied, to the Seller. The Purchaser warrants to the Seller that each of the representations and warranties made by it is accurate and not misleading at the date of Closing. The Purchaser acknowledges that the Seller is entering into this Agreement in reliance on each representation and warranty. The Purchaser's representations and warranties will survive the Closing Date of this Agreement. Where the Seller has a claim against the Purchaser relating to one or more representations and warranties made by the Purchaser, the Purchaser will have no liability to the Seller unless the Seller provides notice in writing to the Purchaser containing full details of the claim on or before the third anniversary of the Closing Date. Where the Seller has a claim against the Purchaser relating to one or more representations or warranties made by the Purchaser, and the Seller is entitled to recover damages from a third party then the amount of the claim against the Purchaser will be reduced by the recovered or recoverable amount less all reasonable costs incurred by the Seller in recovering the amount from the third party. All of the representations and warranties made by the Purchaser in this Agreement will be true and accurate in all material respects on the Closing Date. The Purchaser will obtain or complete all forms, documents, consents, approvals, registrations, declarations, orders, and authorizations from any person or any governmental or public body, required of the Purchaser in connection with the execution of this Agreement. All of the representations and warranties made by the Seller in this Agreement will be true and accurate in all material respects on the Closing Date. The Seller will obtain and complete any and all forms, documents, consents, approvals, registrations, declarations, orders, and authorizations from any person or governmental or public body that are required of the Seller for the proper execution of this Agreement and transfer of the Assets to the Purchaser. No substantial damage to or alteration of the Assets that would adversely affect their value will occur between the date this Agreement is signed and the Closing Date. The Seller will have obtained any necessary consents for assigning any leases to the Purchaser as well as providing estoppel certificates from such owners or landlords that there are no arrears of rent, no breaches under such leases and the amount of the security deposits held by such third parties. The Seller will execute and deliver bills of sale for the Assets in favor of the Purchaser. The Seller will provide the Purchaser with complete information concerning the operation of the Seller, in order to put the Purchaser in a position to carry on in the place of the Seller. If either Party fails to satisfy any of its conditions precedent as set out in this Agreement on or before the Closing Date and that condition precedent was not waived, then this Agreement will be null and void and there will be no further liability as between the Parties. Upon the reasonable request of the Purchaser, the Seller will, from time to time, allow the Purchaser and its agents, advisors, accountants, employees, or other representatives to have reasonable access to the premises of the Seller and to all of the books, records, documents, and accounts of the Seller, during normal business hours, between the date of this Agreement and the Closing Date, in order for the Purchaser to confirm the representations and warranties given by the Seller in this Agreement. At least 30 days prior to the Closing Date, the Purchaser will provide written offers of employment to every employee of the Seller (the "Transferred Employees"). The offers of employment will be subject to execution of this Agreement and successful closing of this transaction. Prior to the Closing Date, the Purchaser will make itself available to discuss with each Transferred Employee the terms of the individual employment offers. The Purchaser will not offer employment to any employee of the Seller who is receiving disability benefits under a disability plan of the Seller as of the Closing Date. Those employees receiving disability benefits will not be considered a Transferred Employee and will remain the full responsibility of the Seller. The Seller will pay all employee compensation incurred by it up to and including the Closing Date and including all salaries, benefits, bonuses and any other compensation of any kind owing to all employees up to and including the Closing Date. The Seller will be responsible for all severance benefits, vacation days, sick days, personal days and other compensated time off accrued by all employees up to and including the Closing Date. The Seller is in compliance with all applicable foreign and domestic statutory rules and regulations respecting employment and employment practices and has withheld and reported all amounts required by law with respect to wages and salaries and the Seller is not liable for any accrued taxes or penalties and is not liable or in arrears to any government or private pension, social security or unemployment insurance authority. The Seller indemnifies the Purchaser for any future liabilities relating to employment and employment practices where the subject of the liability occurred up to and including the Closing Date. To the best of the Seller's knowledge, information and belief, no labor dispute is currently in progress, pending or threatened involving the Transferred Employees of the Seller that would interfere with the normal productivity or production schedules of the Seller. After the Closing Date, the Purchaser will adopt, assume, and become solely responsible for all Transferred Employee benefit plans including, but not limited to, all health and disability plans and pension plans currently administered by the Seller. The Purchaser will collect and pay over to the Seller any contributions of the Seller's employees that relate to periods prior to and including the Closing Date. The Purchaser agrees to waive all waiting or qualification periods and pre-existing conditions and limitations of such plans for the Transferred Employees. It is understood and agreed between the Parties that the Purchaser is not assuming and will not be liable for any of the liabilities, debts or obligations of the Seller arising out of the ownership or operation of the Seller prior to and including the Closing Date. The Seller will indemnify and save harmless the Purchaser, its officers, directors, employees, and agents from and against all costs, expenses, losses, claims, and liabilities, including reasonable legal fees and disbursements, or demands for income, sales, excise or other taxes, suffered or incurred by the Purchaser or any of the above mentioned persons arising out of the ownership or operation of the Seller prior to and including the Closing Date. This Agreement is not to be construed as an assignment of any third party contract from the Seller to the Purchaser if the assignment would be a breach of that third party contract. The Purchaser will be solely responsible for acquiring new contracts with third parties where the existing contracts are not legally assignable from the Seller to the Purchaser. Notwithstanding any other provision in this Agreement to the contrary, the Seller will not be liable for any losses, costs or damages of any kind including loss of revenue or decrease in value of the Seller resulting from the failure of the Purchaser to acquire any third party contracts. 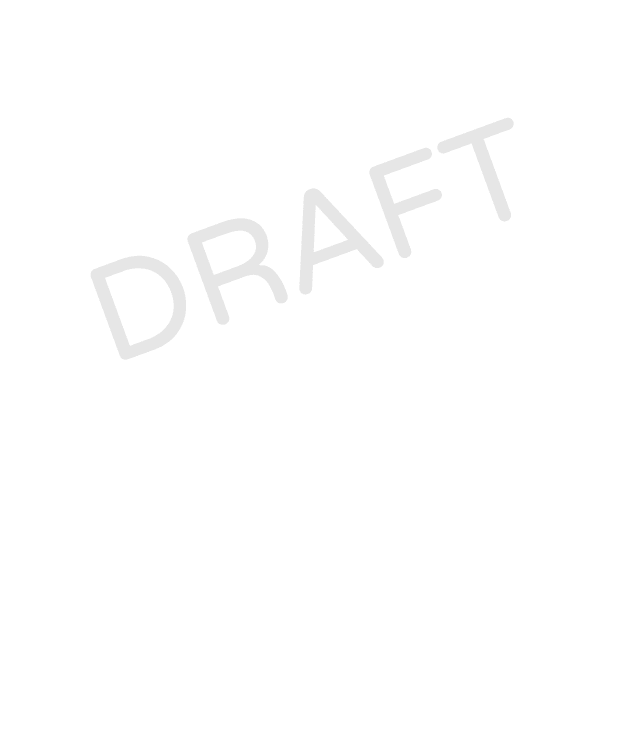 Any notices or deliveries required in the performance of this Agreement will be deemed completed when hand-delivered, delivered by agent, or seven (7) days after being placed in the post, postage prepaid, to the Parties at the addresses contained in this Agreement or as the Parties may later designate in writing. The Parties agree to pay all their own costs and expenses in connection with this Agreement. The Parties acknowledge that this Agreement is reasonable, valid, and enforceable; however, if any part of this Agreement is held by a court of competent jurisdiction to be invalid, it is the intent of the Parties that such provision be reduced in scope only to the extent deemed necessary to render the provision reasonable and enforceable and the remainder of the provisions of this Agreement will in no way be affected or invalidated as a result. Where any provision in this Agreement is found to be unenforceable, the Purchaser and the Seller will then make reasonable efforts to replace the invalid or unenforceable provision with a valid and enforceable substitute provision, the effect of which is as close as possible to the intended effect of the original invalid or unenforceable provision. This Agreement will be governed by and construed in accordance with the laws of the Commonwealth of Virginia. The courts of the Commonwealth of Virginia will have jurisdiction to settle any dispute arising out of or in connection with this Agreement. This Agreement contains all terms and conditions agreed to by the Parties. Statements or representations which may have been made by any Party to this Agreement in the negotiation stages of this Agreement may in some way be inconsistent with this final written Agreement. All such statements are declared to be of no value to either Party. Only the written terms of this Agreement will bind the Parties. This Agreement may only be amended or modified by a written instrument executed by all of the Parties. A waiver by one Party of any right or benefit provided in this Agreement does not infer or permit a further waiver of that right or benefit, nor does it infer or permit a waiver of any other right or benefit provided in this Agreement. This Agreement will not be assigned either in whole or in part by any Party without the written consent of the other Party. This Agreement will pass to the benefit of and be binding upon the Parties' respective heirs, executors, administrators, successors, and permitted assigns. All of the rights, remedies and benefits provided in this Agreement will be cumulative and will not be exclusive of any other such rights, remedies and benefits allowed by law or equity. IN WITNESS WHEREOF the Parties have duly affixed their signatures under hand and seal on this ________________________ 20______. What is a Business Purchase Agreement? A Business Purchase Agreement is a contract used to transfer the ownership of a business from a seller to a buyer. It includes the terms of the sale, what is or is not included in the sale price, and optional clauses and warranties to protect both the seller and the purchaser after the transaction has been completed. A Purchase of Business Agreement can be used to buy or sell any type of business, including retail stores, industrial shops, restaurants and eateries, professional service offices, and many others. Who should use a Purchase of Business Agreement? A Purchase of Business Agreement should be used by anyone who is looking to purchase or a sell a business. The agreement can help specify details in the sale including what aspects of the business are for sale (i.e. assets or shares). What are assets and shares in a Business Purchase Agreement? When you purchase assets in a business, you are not purchasing the business itself, but only one aspect of it. That may mean a product, client list, or type of intellectual property. The company or business retains its name, liabilities, and tax filings. When you purchase shares in a company, you are purchasing a portion of all aspects of the business. If you buy all of the shares in the company, you own all facets of the business. What are the restrictive clauses in a Sale of Business Agreement? When a buyer takes on a loan, mortgage, or accounts payable balance they are assuming a liability for the business. Buyers may take on some, all, or none of the liabilities accrued by the seller during the lifetime of the business. 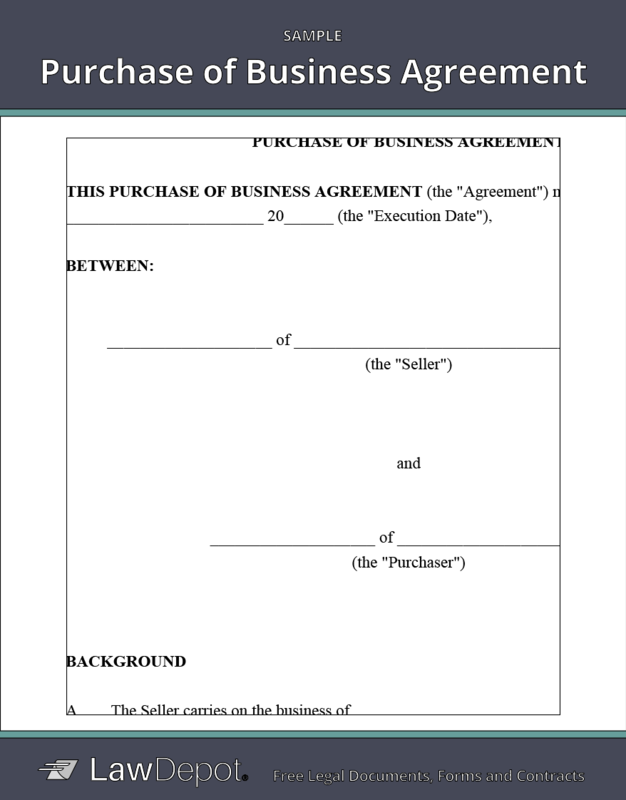 Personalize your Purchase of Business Agreement template.